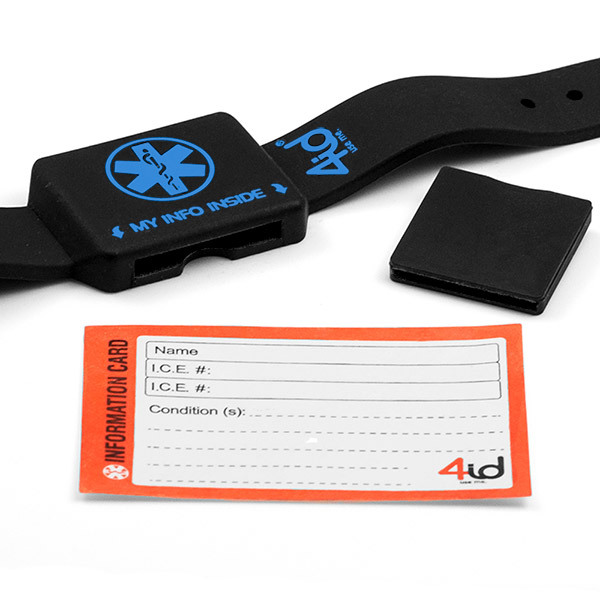 You will love the look and feel of this lightweight Black Silcone Medical Bracelet. Tuck your handwritten ID card in the pocket for safe keeping. 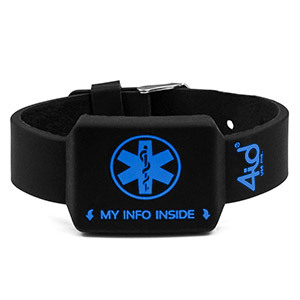 Print on outside alerts medical personnel to card inside. Comes with weather proof ID card. Watch style adjustable bracelet.